We just selected a collection of the most popular products of our Store! All of them are useful and with great quality. Looking for something for your family, office or a gift? You are in the right place. All MakeTank products are designed in Italy and made with exquisite craftsmanship. 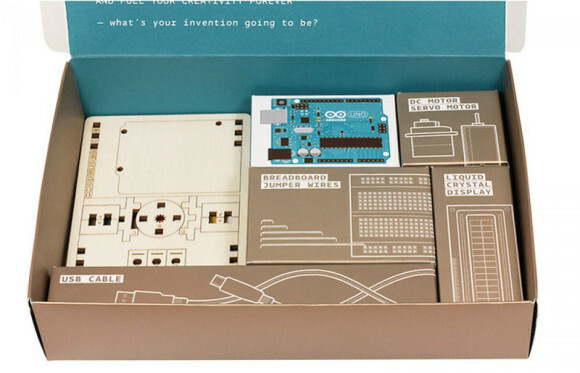 The Arduino Starter Kit is a tutorial kit that teaches you step-by-step the electronic world. It includes 15 projects, taking you from the beginner to a more advanced level. The kit features different kind of sensors, which enable you to learn how the physical world works.The handbook is available in Italian and English. You can get it for only 98.00 €. 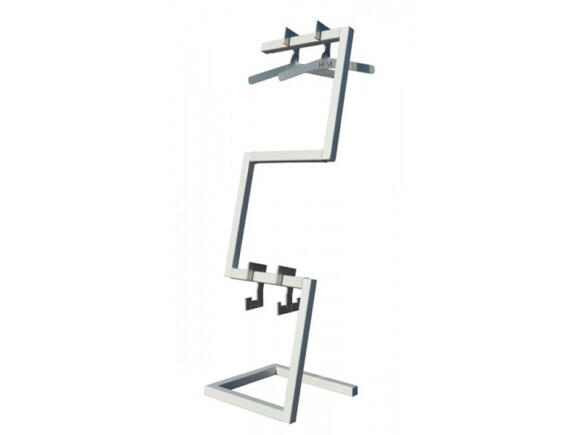 The Servomuto HMH - Valet is a standing clothes-hanger made of painted steel. It features coat hangers for Him and Her, one hanger for ties and one for bags. All hangers are made of aluminum. It is available in two versions, a design version with hangers in straight lines and a minimalist version with hangers in ergonomic lines. The whole standing valet with hangers can be found for 400.00€. Have you ever heard of laser cut earrings? 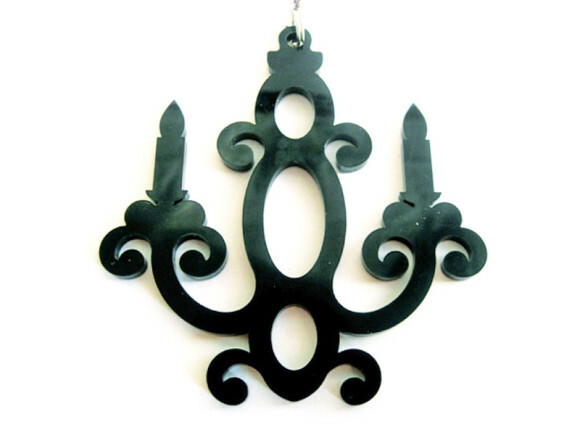 The Chandeliers Earrings in Laser Cut Acrylic are made with laser cutting! It is also available in various colors, red, grey and black. The hooks of the earrings are nickel free, can also be in silver on request. The earring is available for 12.00 € for single ones, 24.00 € for a pair or buying 5 pairs for 20.00€ each and saves 17%. The Skeleton Two - 3D Printed Lamp is a unique lamp made with 3D printing. It is available in endless color combinations! The design is modern and suits all styles of furniture. It is good either for your office or for you dining room. We suggest LED light bulbs, since they are eco-friendly. You can find it on MakeTank’s website for 320.00 €. 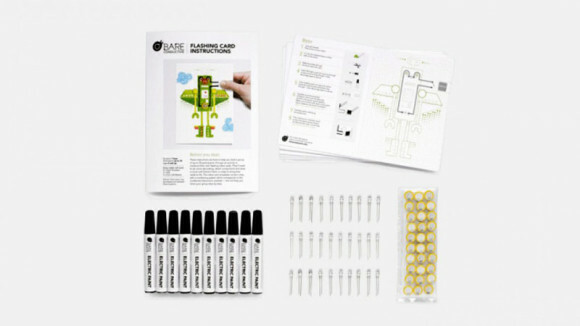 This Flashing Card Activity Pack Robot Parade provides you with a group activity that teaches up to 30 participants how electricity flows. The pack includes step-by-step instructions, 10 electric painting pens, 30 robot coloring card templates, batteries and 30 flashing LEDs. It is good for home use, teaching use or just hobbies. Spending 80.00 € and getting a whole pack of fun! 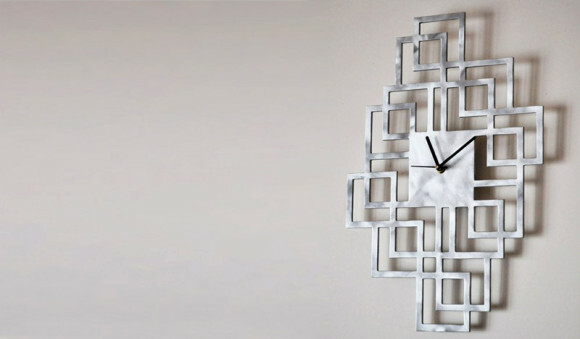 This Quadrettoni - Aluminum Wall Clock is a wall clock with modern design. The wall clock goes with any style of interior decoration. Its simplicity and craftsmanship makes your room elegant and upscale. Every piece of this clock is made of aluminum and crafted by hands. It is also featured with a silent quartz mechanism. This Italian design wall clock is available for only 169.00 €. Summer is coming. This Mai Uguale – Laser Cut Modular Ring brings you a sense of summer and fashion. It is made of three transparent pieces with a colored circle. You can change the colored circle in the pack, different color matches different mood. 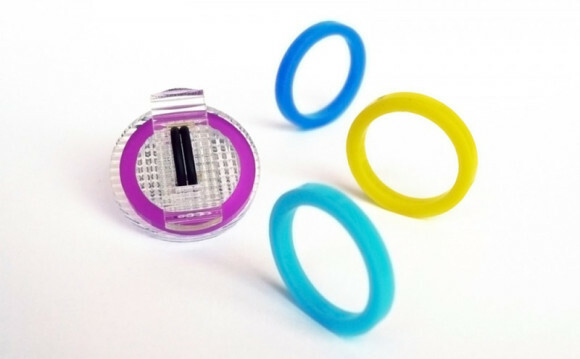 The ring is adjustable with the flexible rubber vacuum. One ring for every mood for only 30.00 €. 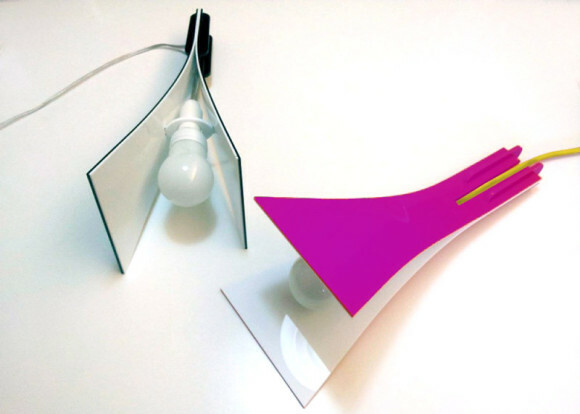 The Leddy Table Lamp is a unique acrylic LED table lamp. The strawberry red color makes your room warm and comfortable. It is created with the idea of saving energy and protecting the environment. Using the LED light bulb will not cause any issue like overheating or material deformation. The Leddy Table Lamp is a smart choice, for sure. It is available in our online shop for 79.00 €. All the business cards look the same. Want someone to remember you immediately after seeing your business card? 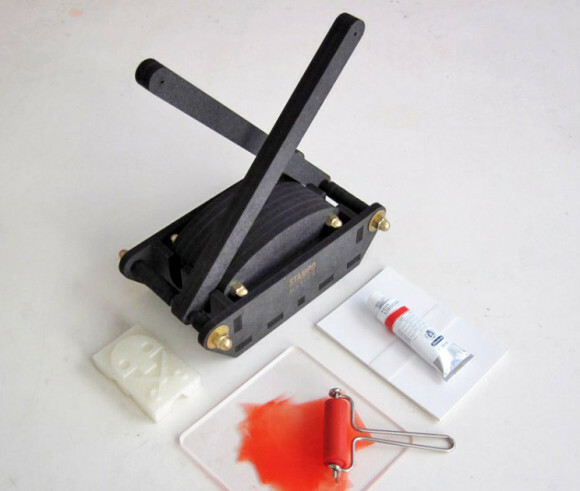 Then you definitely need a DIY “Business Card Press” Stampomatica Assembly Kit. This little machine helps you to personalize your business card and to show your skills in a unique way. Personalize your business cards right now with only 79.00 €! 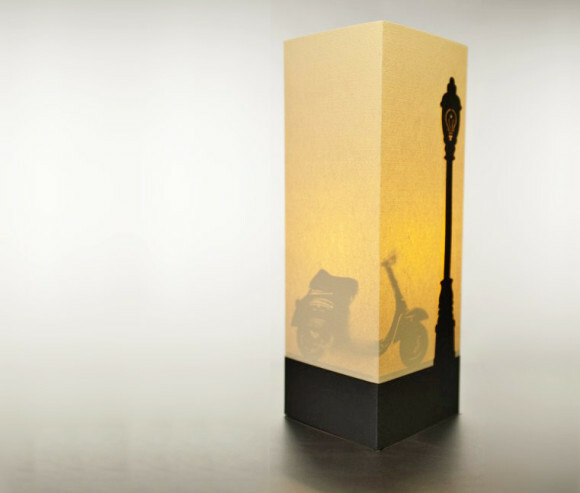 This beautiful Vespa – Paper Lamp makes your room feel like “Roman Holiday”. Remember Gregory Peck taking Audrey Hepburn for a ride in Vespa in the movie? Isn’t it the most romantic scene you can ever imagine? The magic lamp not only brings your home light, but also the Italian life style, the Roman Holiday attitude. Now there is a 25% off promotion on this cute lamp. You can get it for only 30.00 €. These are just some products selected from our online store. Want to see something else? Search in our online store. Feel free to contact us no matter you are a maker or a customer. We are happy to hear from you. 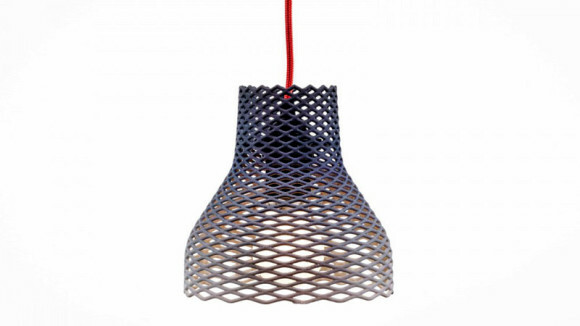 A lasercutted lamp of Madesin Studio is the winner project of DWM contest.